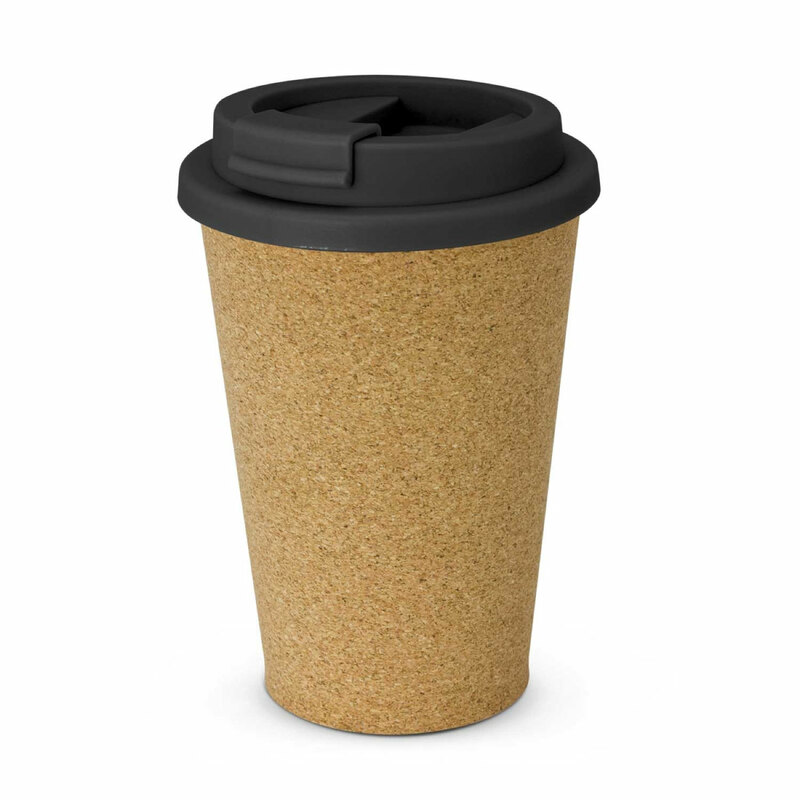 A modern re-usable coffee cup that's made partly from cork! Stay up to date with style trends with the help of these modern re-usable coffee cups. They have a unique soft touch natural cork outer coating that helps to insulate the cup and ensure it's not too hot to hold as well as a tough food grade polypropylene build that's 100% BPA free. 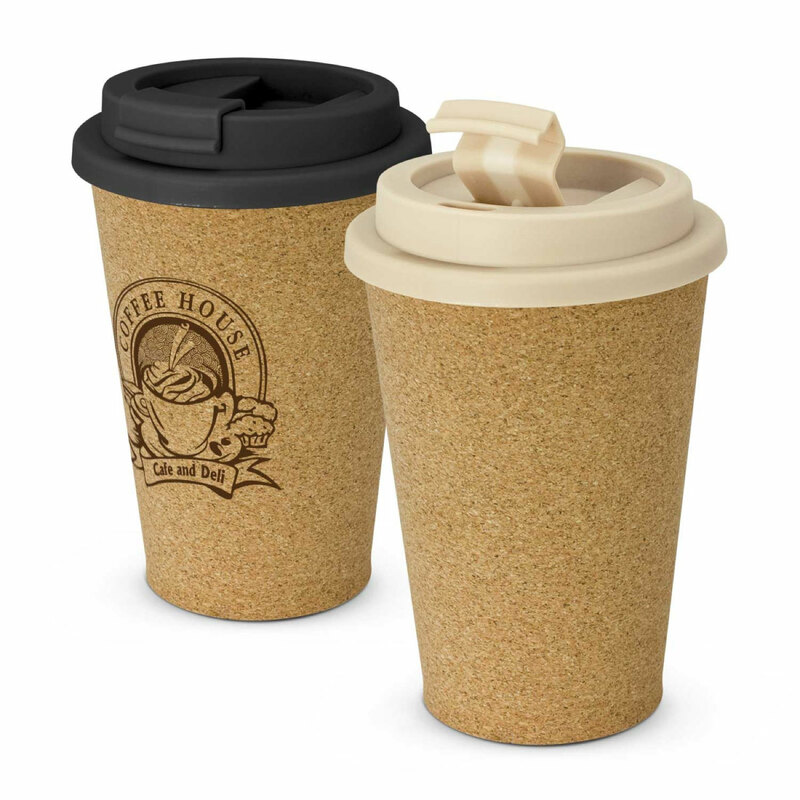 These cups have a secure screw on lid and a splash proof flip closure. 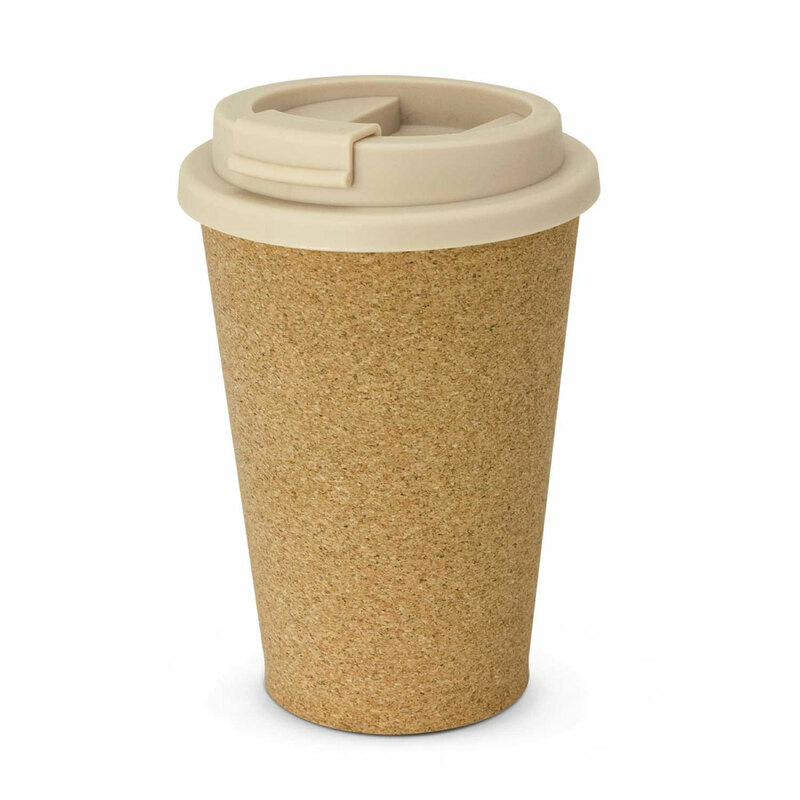 Please note: handwashing is recommended for this Eco cup.